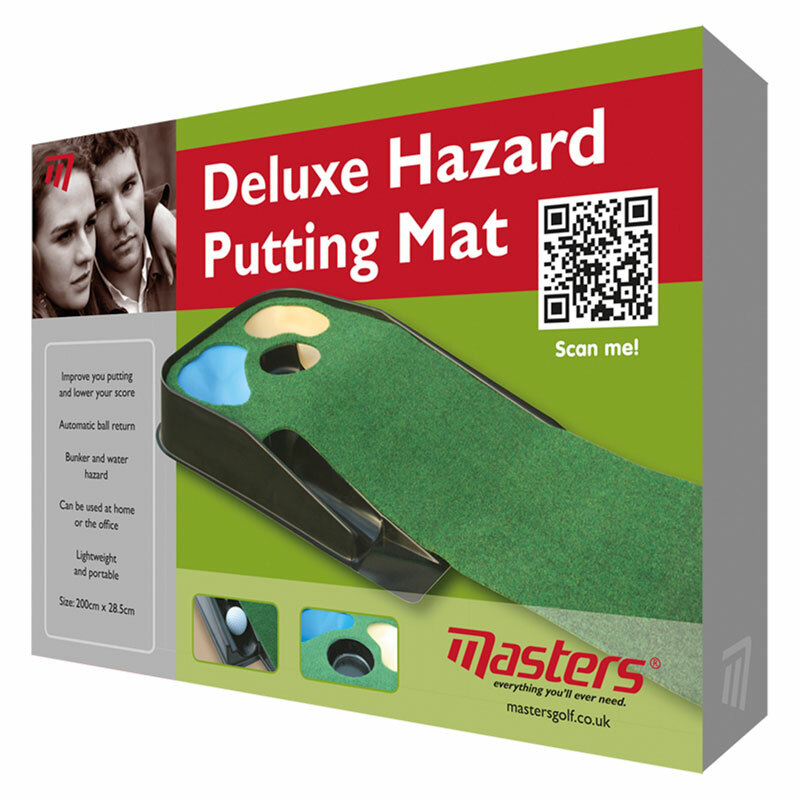 Fine-tune your putting skills whether at home or the office, with this superb putting mat from Masters Golf. The mat has been designed from a durable material, with a synthetic green layer to provide a more consistent and accurate ball roll. 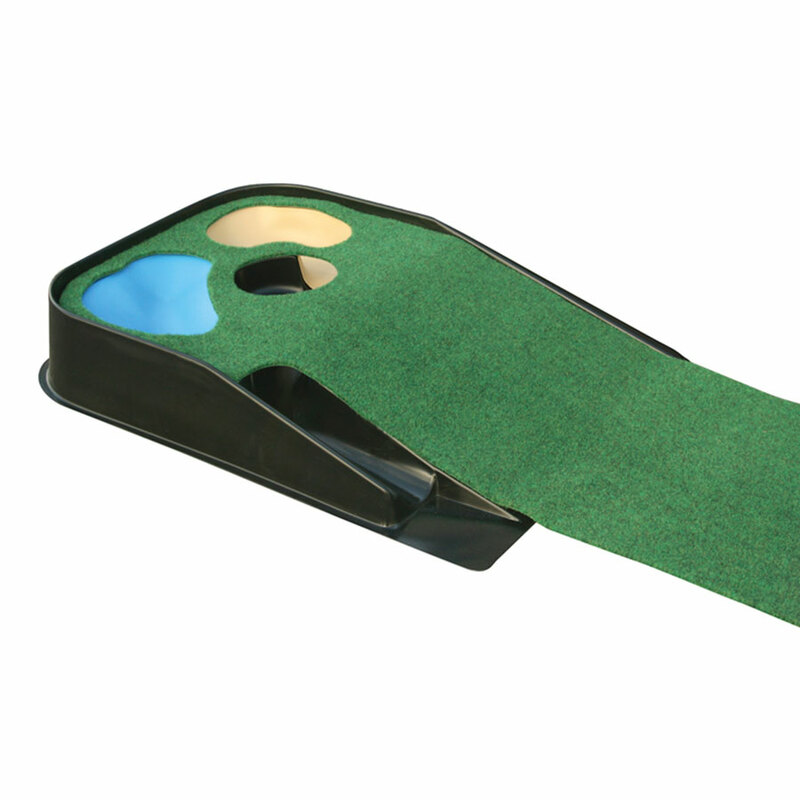 The mat even features a raised end with a hole, with bunker and water hazard to give you a real effect of playing on a course.